A higher quality blended material... 200-250 Thread Count Percale is 50% Cotton for softness and 50% polyester for no iron ease of care. This fabric remains durable after repeated washings for lasting quality and comfort. Great choice of colors and Patterns. 100% Cotton 300 Thread Count sheets are a beautiful, high-qualty fabric. Treat yourself to the luxurious soft feel of all cotton. Hand-cut and sewn especially for you. From Lumber to Slumber Northwoods Flannel from Bedderbedding will keep you warm on a cool night. 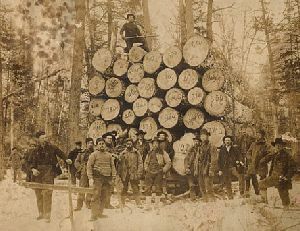 Lumbermen wore it to keep warm, now you can sleep on and under it. 100% Cotton... feel free to snuggle in your cozy, soft and warm flannel.